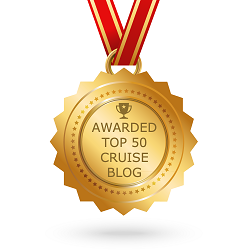 Home › General Cruise Articles › Cruising Customs You May Have Never Known Existed! Cruising Customs You May Have Never Known Existed! 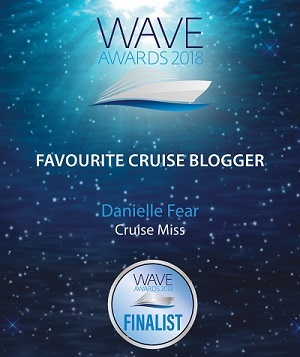 There are some things about cruising that you may not be aware of, so I thought I’d share some of them with you in my blog. 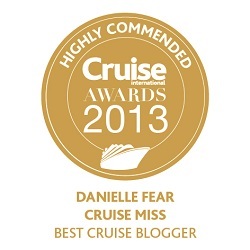 I’m sure my fellow cruise-a-holics will be aware of them all, but I hope you still enjoy the read! The crossing of the line ceremony takes place on ships that sail across the zero-degree latitude line. Originally a ceremony held on board Navy vessels, almost every cruise ship that crosses the zero-degree latitude line now celebrates the event. Usually, the Trusty Shellbacks (those who have previously made the crossing) are organised into the “Court of Neptune” to induct the Slimy Pollywogs (those who have never made the crossing) into the mysteries of the deep – as you can imagine, initiation incurs various tasks being carried out and often ends with several people in the pool, but the event is a lot of fun and it is often a big highlight of the voyage. I’ve not personally had the pleasure of experiencing this yet, but it’s on my list! Judy Garland, the original gay icon, is immortalised at sea as Dorothy (Wizard of Oz) via meet and mingle groups for gay, lesbian and transgender passengers. These friendly meetings are a fun and informal way for less confident passengers from the gay and lesbian community to meet new people. They are also a wonderful option for gay or lesbian passengers that are cruising on their own. Many of the big cruise lines offer Friends of Dorothy get-togethers, including Cunard Line, Princess Cruises, Holland America Line and Carnival Cruise Lines. Don’t forget to give MeetMeOnboard.com a look before your next cruise! The Baked Alaska, something long-term cruisers either love or loathe. It is said that the tradition of the Baked Alaska first started back in the early 20th century, when ships first acquired refrigeration. It was such a huge event and ultimately, it stuck. Baked Alaska is kept frozen until the evening of the parade – which usually happens on the last formal night of a cruise – it is then flambéed to brown the meringue. Sometimes, small sparklers are added just before the dining room parade begins. Personally, I’m not the biggest fan of Baked Alaska or the parade that goes with it, but for many, it’s a nice treat. The Crew Show is not a feature on all cruise ships, but those that do offer it undoubtedly have the best crews at sea! Fred. 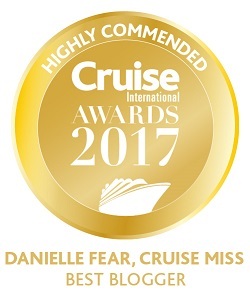 Olsen Cruise Lines and Saga Cruises both give their crew members the chance to showcase their talents by way of the end of cruise “Crew Show”. There are singers, dancers, magicians, musicians, cocktail making kings and even comedians – it is quite often the best show of the cruise and if it is offered on your next voyage then you must go along and support your hard-working crew members. It can be a little risqué – you have been warned! The number 13 has been viewed as unlucky for many years and no one is entirely sure why. Theories include that it is because there were 13 people at the last supper and traditionally there were 13 steps leading up to the gallows. Whatever the reason, that superstition is evident on many cruise ships, especially British ones upon which you will rarely find a Deck 13. For the Italians, the unlucky number is 17 and you’re not likely to come across a Deck 17 on any MSC Cruises ship. This is because the Roman numeral XVII is changed anagrammatically to VIXI, which translates to “I have lived” – implying that your life is already over. ‹ Cabin Bills That We Would Like To Forget! Very informative. I’ve taken a few cruises and didn’t know about some of those. Brass bands playing when p&o leave,how long ago was this written,certainly does not happen now.